This past week I received two inquiries from different readers regarding what is generally the same subject – that of my fictional action-hero character, Mac Walker’s place among some of his contemporaries: Jason Bourne, Mitch Rapp, Scot Harvath, and Jack Reacher. Since his inception just a few years ago, Mac has been very well received by most who have taken the time to read his exploits. (Nearly 200,000 Mac Walker stories have sold so far.) I would be the first to admit (and have done so already) that some of Mac’s own DNA can be found among the long-established characters of Brad Thor’s Scot Harvath, Vince Flynn’s (RIP) Mitch Rapp, Robert Ludlum’s Jason Bourne, and Lee Child’s Jack Reacher, among others. Of the above, I would say I’m most familiar (and comfortable) with the works of Thor and Flynn. They both created a character and subsequent stories that are easy to digest and more often than not, entertaining. I am more familiar with Ludlum’s Jason Bourne through the films, though read Bourne Identity years ago and then subsequently found the 2002 film to be more entertaining. 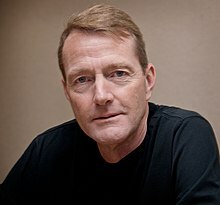 As for Lee Child’s Jack Reacher, I have never quite warmed up to that character, though not for lack of trying. I find the American setting to ring just a bit hollow, and the near-constant philosophizing by the simultaneously brutish and introspective Reacher to come off contrived. I lay much of the blame for this at the feet of author Lee Child’s “British sensibilities.” Jack Reacher is a view of Americanism through the biased lens of an upper middle-class British author and consequently, Jack Reacher has always struck me as something of an angrier, two-dimensional version of Sherlock Holmes with the benefit of near-superhuman (cartoonish) attributes which predictably, makes him even less interesting. Jason Bourne suffers a bit from this “superhuman” quality as well, though Ludlum does a far better job than Child in juxtaposing Bourne’s physical superiority with the mental carnage of his manufactured self, which in turn lends Bourne a more vulnerable, and thus, human quality which then enhances that character’s believability. Both characters have proven hugely successful franchises, so much respect to both Ludlum (who died in 2001) and Child for having done so. If I had to choose the closest literary brethren to Mac Walker, it would undeniably be the characters of Scot Harvath and Mitch Rapp. 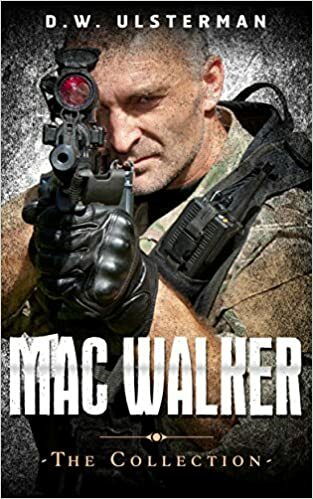 Walker shares Harvath’s experience as a very capable Navy SEAL, but Mac is one to constantly question and at times, combat authority, where Harvath remains for the most part throughout the series, a willful tool of authority. Both characters share a strong desire to protect the innocent and stand up for their own respective versions of right and wrong. 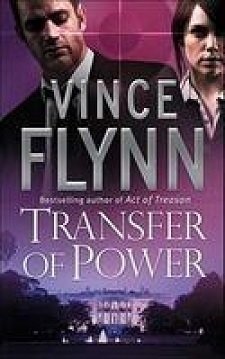 Therein lies Mac Walker’s connection to Mitch Rapp, who like Mac, is quite comfortable bending, or at times, ignoring the rules of conflict altogether. Rapp is a bit more scholarly than Mac, though, and I have no doubt that should the two meet in hand-to- hand combat, Mac’s more savage, primordial inner self would emerge victorious rather quickly. Rapp, on the other hand, likely has a superior ability to see himself with the larger cog of geopolitical machinations. Mac’s shoot first, question rarely mentality is what gets him into some very serious trouble as his own series progresses. 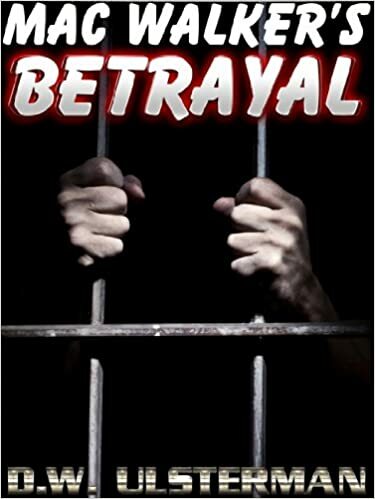 Mac Walker is a very tough man and that fact plays out repeatedly in his six novel, three short story series. That is one particularly different aspect I intentionally created for the character. I wanted the arc of his story to include the passing of significant amounts of time that would allow readers to see the character grow, mature, become more complex, and ultimately (I hope) more endearing. (I think it would be very cool to see a film version of Mac played out by the same actor over a 20-year period vs how James Bond is played by multiple actors over many years with a Bond that doesn’t age) Mac’s story also expands far beyond the boundaries of his own character and calls into question the events of today and how they might play out tomorrow, as reflected in the final two installments of the Mac Walker story, DOMINATUS, AND TUMULTUS. This is one area I feel Mac Walker is superior to the other characters mentioned above. While Harvath, Rapp, Bourne, and Reacher entertain readers, (myself very much included) readers come to care about and are informed by, Mac Walker. One of the reader reviews said that if she had the ability to actually meet any fictional character, it would be Mac Walker. I took that as high praise, because it was that very reaction I hoped to generate as the Mac Walker character progressed throughout the series. He’s a flawed, albeit formidable, man – just like the America he seeks to protect. That’s Mac Walker, and I feel blessed to have known and called him friend. NINE MILITARY FICTION STORIES – ONE LOW PRICE! SAVE UP TO 60% OVER PURCHASING SEPARATELY! Mac Walker is a man of shadow and steel, blood and bone. He protects those he loves with a ferocity and purpose few can overcome. If challenged, he takes a “kill first, question later” approach. His life has taken him around the world and back again, to a home that is no longer his, in a country that would see him dead. He seeks both truth and purpose in himself and others, at a time when the traditions and values of old do battle against the emerging tyranny of the present. And woe to any who attempts to do him and those he cares for, harm. He is Mac Walker, and this is his story, spanning decades, available here for the first time ever as a single download, allowing readers to save up to 60% over purchasing each of the Mac Walker military fiction stories individually. D.W. lives near his beloved waters with his beautiful wife of 22 years, and their two teenage children, along with two cats and two dogs. Many of D.W. Ulsterman’s personal interests are reflected in his works, including an unyielding love of America, politics, music, and helping to secure a better future for generations to come. 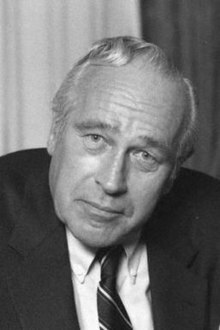 Among his works are the bestselling military action adventure Mac Walker series of books, including the epic tales DOMINATUS and TUMULTUS, as well as the political mystery-thriller, Bennington P.I. series. He is also the author of the contemporary western bestseller, The Irish Cowboy and the just-released Race Wars collection.